"One of the areas that could be particularly problematic is he urged Mexicans before the election, ‘Pack up and go up north to America.’ ... I’m running in the state of Texas. How would it work if I stood up and said, ‘Elect me and then get the hell out of Texas!’?" Cruz said. "What a profound statement of giving up on your country, telling your citizens, 'Flee our country because we’re not gonna solve the problem.'" López Obrador, who ran unsuccessfully in 2006 and 2012, has reportedly taken a more moderate tone since his historic victory on Sunday, calling for friendship with the United States. 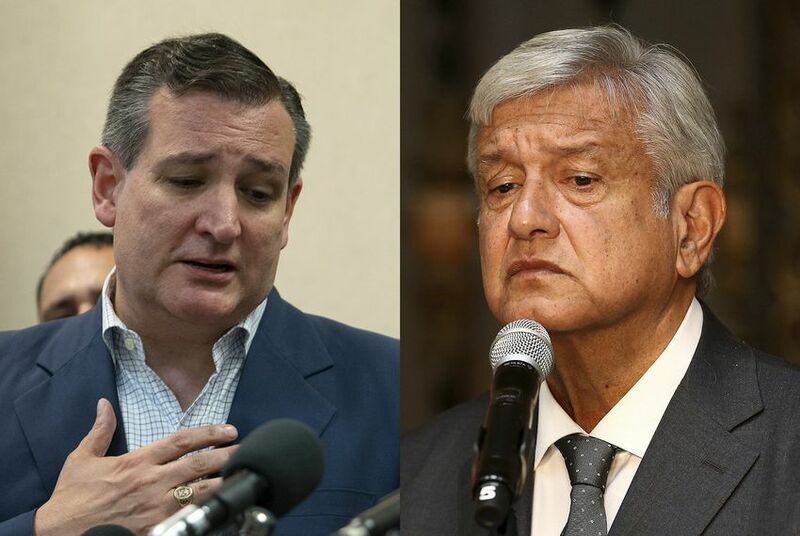 Still, observers are waiting to see what happens during Mexico’s five-month-long transition period, during which the president-elect will likely lay out his policy proposals and Cabinet nominees — providing a better look into his administration's agenda.